Poe's Deadly Daughters are getting an early start on the gift-giving season by offering our readers a chance to win free copies of our books. Leave a comment with your first and second choices, and you'll be entered in a drawing for a free book. Come back tomorrow to see a list of winners. Good luck -- and we hope you enjoy the books! 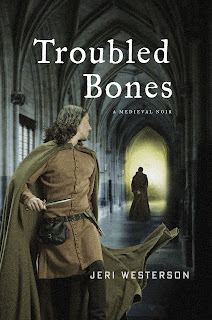 I'm giving away one signed copy of Troubled Bones, my hot-off-the-press newest release in the Crispin Guest Medieval Noir series. 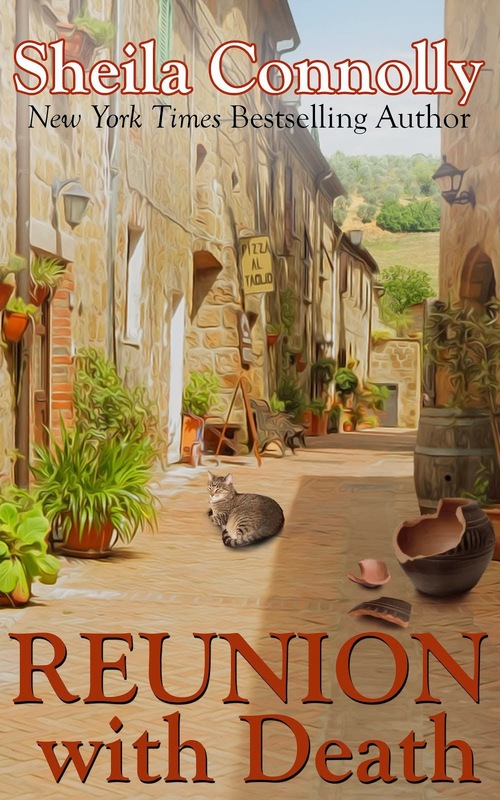 The retelling of the unfinished Canterbury Tales as it might have happened…Disgraced knight Crispin Guest gets himself into some serious trouble in London and as a result is forced to accept an assignment far out of town. The archbishop of Canterbury has specifically requested Crispin to investigate a threat against the bones of saint and martyr Thomas a Becket, which are housed in a shrine in Canterbury Cathedral. The archbishop has received letters threatening the safety of the artifacts, and he wants Crispin to protect them and uncover whoever is after them. But when he arrives at Canterbury, Crispin is accosted by an old acquaintance from court—one Geoffrey Chaucer—who has arrived with a group of pilgrims. 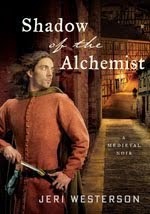 Trapped in Canterbury, looking for a murderer, a hidden heretic, and a solution to the riddle that will allow him to go back home, Crispin Guest finds his considerable wit and intellect taxed to its very limit. I had been wanting to tell this story for a while. I've had a longtime association with Chaucer and The Canterbury Tales (see that here) and so to be able to include some of the Pilgrims in my story as well as Geoffrey Chaucer has been a joy. I hope you'll feel the same way. I'm giving away Kindle versions of Madeline Mann (the first in the Madeline Mann trilogy, which Kirkus called "a bright debut" and Library Journal dubbed "a welcome addition to the cozy scene") and of my newest title, The Ghosts of Lovely Women, which is the first in the Teddy Thurber series. Madeline is a small-town reporter who decides to investigate the disappearance of an old friend; this leads her into some humorous scrapes, but also into some very serious crime and corruption. Truly, to paraphrase Hamlet, something is rotten in the town of Webley. Teddy is an English teacher who is horrified to learn of the death of a former student. The dead girl, Jessica Halliday, has left Teddy some cryptic messages that relate to the literature they read in class. Only Teddy, who has immersed herself in the truths of the great classics, can see the patterns in the words that Jessica has left behind. Both books have spunky and literary heroines! 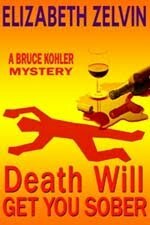 I'm giving away a signed hardcover first edition of Death Will Get You Sober, the first novel in my series featuring recovering alcoholic Bruce Kohler and his friends, Barbara the world-class codependent and Jimmy the computer genius. One reviewer, bless her heart, praised my "ability to bring us both tragedy and humor, sometimes in the same sentence." 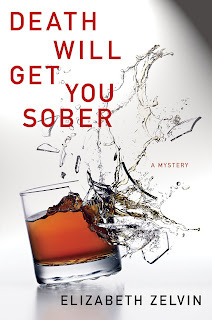 Death Will Get You Sober tackles a subject that is not only serious but emotionally charged for many readers, with a combination of lighthearted fun, authenticity, and heart. As it opens, Bruce's denial is cracking as he wakes up in detox on the Bowery on Christmas Day. A couple of murders and an unexpected burst of genuine feeling set him off on a quest to find the murderer, stay off the booze for good, and get his life back. I'm giving away one copy (signed) each of the most recent book in my two current series. 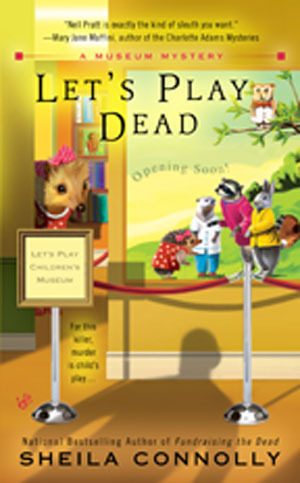 Let's Play Dead (Museum Mystery #2): Nell Pratt, president of the Pennsylvania Antiquarian Society in Philadelphia, is jolted into action when someone is electrocuted at the beloved Philadelphia children's museum, Let's Play. When Nell is invited to a sneak preview of a newly installed exhibit, she's in for quite a shock: while she's there, one of the installers gets a severe jolt while working on an animated creature. 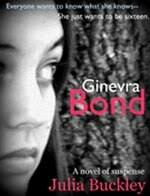 He recovers, but when a second man gets zapped, this time fatally, it sparks a homicide investigation, and it's up to Nell to channel her energy into finding the killer—before she gets burned herself. Bitter Harvest (Orchard Mystery #5): Now that Meg Corey's first apple crop has been harvested and sold, she's enjoying some free time, and cleaning out her 1760 house. In a dusty corner Meg finds an early 19th century silk sampler, but she doesn't recognize the names on it as any of the earlier owners of her house. Then she starts being plagued by a series of small but annoying mishaps. 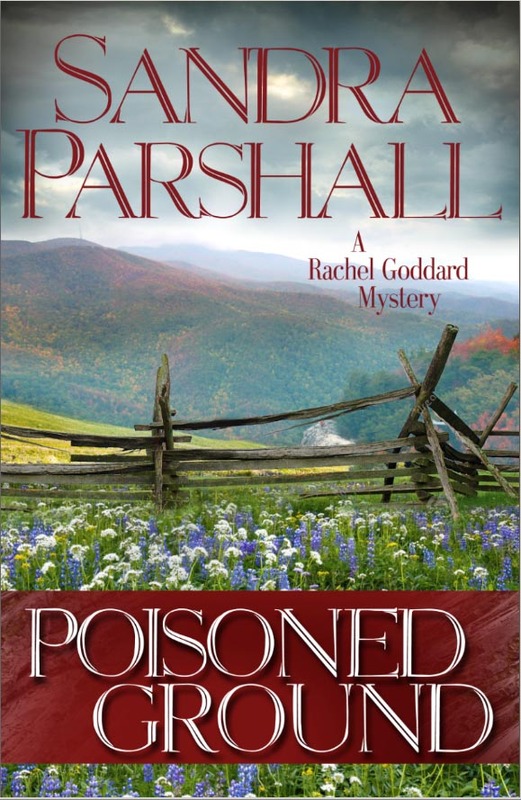 If she doesn't figure out how the sampler she found is connected to the motive of her modern day tormentor, her first harvest could be her last. Take your pick--city or country, electronic animals or apples! I’m offering a copy of my latest book, Under the Dog Star, and a copy of my first Rachel Goddard novel, The Heat of the Moon – to two different readers. If you haven’t read any of my books and would like to start with the one that introduces Rachel, you can enter the drawing for a copy of The Heat of the Moon. When Rachel begins having strange dreams and experiencing flashes of long-buried memories that make her question her family’s background, she must fight a devastating battle of wills with her controlling psychologist mother to get at the truth. Publishers Weekly called The Heat of the Moon a “frightening psychological mystery” with a “mesmerizing plot.” The book won the Agatha Award for Best First Novel. I'm giving away a copy of Missing, Presumed Wed, fourth in the Elizabeth Pepperhawk/Avivah Rosen Viet Nam veterans mystery series. 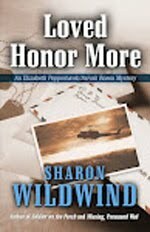 Ex-Special Forces Sergeant Benny Kirkpatrick is one week away from marrying Lorraine Fulford and, as he puts it, “I’’ve seen courts martial that required less preparation than this wedding.” Then Benny’s mother is abducted. When her abductor’s body is discovered, Benny, Avivah and Pepper put their own romantic entanglements aside to help Benny find the killer. The price of justice may tear Benny’’s family apart forever. What a nice offer! My first choice is TROUBLED BONES. This is a series I've read good things about but not yet read. My second choice is UNDER THE DOG STAR. My book group enjoyed the previous book in the series and I'd like to read the next one. Best wishes to all - I'd enjoy all the offered books, I'm sure. Wow those are some great books. 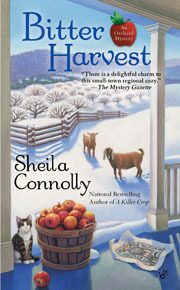 I would love to read Sheila Connolly books or the Sandra Parshall book. That is such a tough choice. Lots of great book..
Any of them sound most interesting! By the time I got to the end of the post I couldn't remember the titles! They all sound just delightful, by the time I got to the end of the choice I couldn't remember the name of the books! Thanks for such a reading opportunity! I'd be so happy with any of these books-but my first choice would be from SHEILA CONNOLLY-I really love the apple series. My second would be from JULIA BUCKLEY. I love finding the first in a new series and I'm unfamiliar with these. Thanks so much for the opportunity-again, I'd be happy with any and all of the books mentioned! This is a nice offer! Hard to make choices. I already own some of these books. Here goes: choice 1 is Jeri's Troubled Bones. Choice 2 is Sandy's Under the Dog Star. Fingers crossed! What a great thing for all of you to do. I would love to win all of them but since I need to choose my first choice is Troubled Bones as I am a Crispin Guest fan and my second choice is Under a Dog Star. Thanks! Would love to read UNDER THE DOG STAR and my second choice is MISSING PRESUMED WED. What a lovely contest and would be thrilled to win either of these books by authors I've not yet read. This is a nice giveaway, and hope I can do it. My first choice would be The Heat of the Moon - Sandra Parshall (already won Under the Dog Star) and my second choice would be Troubled Bones - Jeri Westerson. Thank you everyone for the opportunity. OMG.....I am such a fan of Jeri Westerson and her Crispin Guest books. I would love a copy of TROUBLED BONES. Thank you all and to all the great authors who have contributed give-away books. My first choice would be Troubled Bones, I've really enjoyed this series, but I also like Sheila Connolly's, and I bet I'd enjoy any of these! Oooh! What a great contest! My first choice would be Troubled Bones and my second would be Bitter Harvest. it is snowing ... what else is there to do but check blogs? What a wonderful contest! Oh, my fingers are crossed for Troubled Bones as a first choice, but you have so many exciting options mentioned. I have to pick Sandra Parshall's book for a second choice. But I would be quite happy with any of the choices. Thank you for the opportunity to enter! What a fabulous contest! Thanks so much for having it for us. I'd choose Let's Play Dead first and Missing, Presumed Wed as my second pick. Always love getting free books. My first choice is Troubled Bones. I really enjoyed the first in the series. Seonc would be Under the Dog Star. Very hard to decide with such a nice selection of books - but here are my choices. Interesting books, and interesting blog as well. And an awesome giveaway. I would love a Liz Zelvin book! I really enjoy her writing. Wonderful giveaway and such nice choices. First choice would be Bitter Harvest and second choice would be Let's Play Dead. What a great assortment to choose from! Making only two choices wasn't easy!! Thanks for the opportunity. Have a Happy Halloween!! What a hard decision, but I think my picks would be Under the Dog Star and Bitter Harvest. Very generous of you. Thanks! Wonderful offers and difficult choices. My first choice is MISSING PRESUMED DEAD. My second choice is LET'S PLAY DEAD. Thanks for the chance to win. I would like to have a chance to read troubled bones. It sounds like a great book. This is a wonderful contest, thank you! Thanks for a great contest. I've read and enjoyed all the books except Troubled Bones and Missing Presumed Wed so either of these would be wonderful. Hope it is not too late to enter! My first choice is Sandra Parshall's In The Heat of the Moon, have wanted to start her series, this is a good chance! Second choice, Jeri Westerson's Troubled Bones, loved the first one in this series, want more! What a great offer. 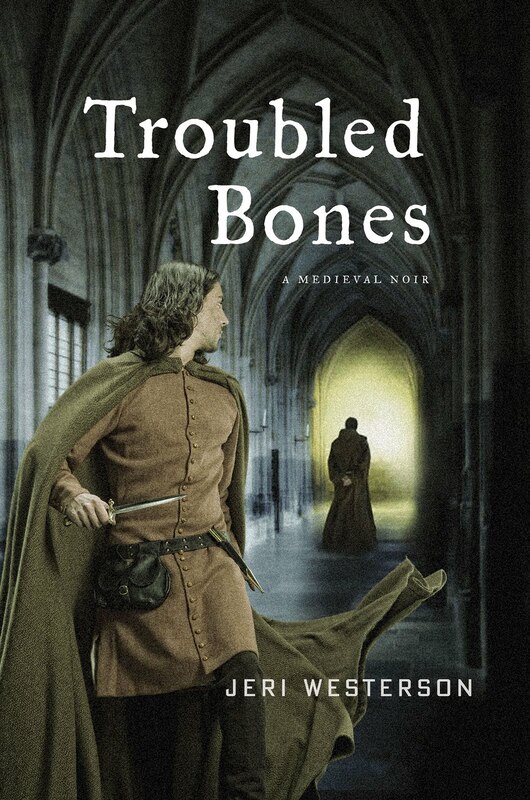 My first choice is "Troubled Bones" - love me some Chaucer. 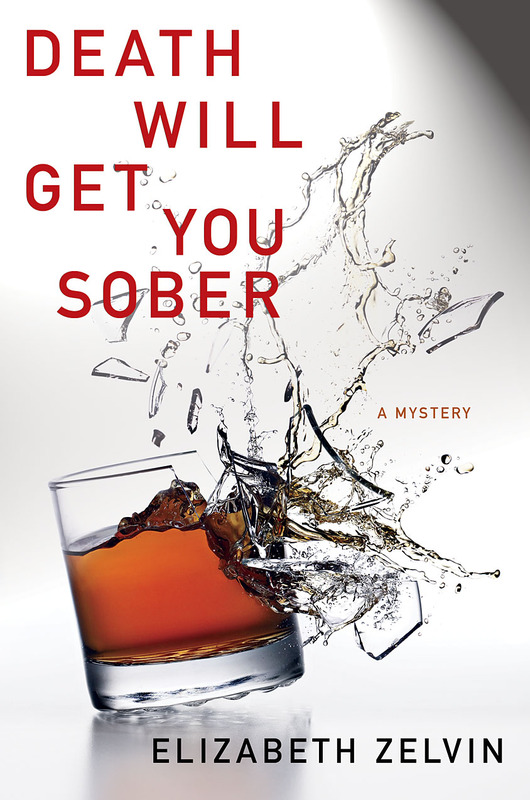 Second choice is "Death Will Get You Sober"; sounds interesting. Check back here in the comments section tomorrow for the list of winners. We should have all the winners chosen and posted by the end of the day Monday. What a great selection of books!! It was tough to make a choice, but eventually I did. My first choice would be Let's Play Dead by Sheila Connelly and my second choice would be Missing Presumed Wed by Sharon Wildwind. Please enter me in the drawing for Troubled Bones or The Heat of the Moon. Thank you! Thanks to all who requested a MADELINE MANN or TEDDY THURBER book! Dru, Katreader, Janel, and AvidReader, if you'll send your e-mail addresses to julishka@sbcglobal.net, I'll send links to the free books on to you!! Thanks for playing our giveaway game. Candace from Maine, get ready to claim your prize! You can e-mail Jeri with your address. Lydia aka Anonymous wins DEATH WILL GET YOU SOBER or DEATH WILL HELP YOU LEAVE HIM. Look for a private email asking for your mailing address. And the winners are (drumroll, please) Kaye for BITTER HARVEST, and Deb Desk for LETS PLAY DEAD. Since you both provided emails, I'll send an email to you offlist for your mailing address. The winner of UNDER THE DOG STAR is Kay. The winner of THE HEAT OF THE MOON is Bobbie. Please send your full names and addresses to me at sandraparshall@yahoo.com and I'll get your books in the mail. The winner of MISSING, PRESUMED DEAD is Prentiss Gardner.